Cauliflower belongs to the brassica family more commonly known as cruciferous family of vegetables. Both Cauliflower and Broccoli are the flowers of a plant. They are tender and can be eaten raw. It contains an impressive array of nutrients, including vitamins, minerals, antioxidants, and other phytochemicals. Nutritionist recommends to eat it on a regular basis to receive the fantastic health benefits provided by the cruciferous vegetable family. Let’s see some of the amazing health benefits of Cauliflower vegetable here on this page. 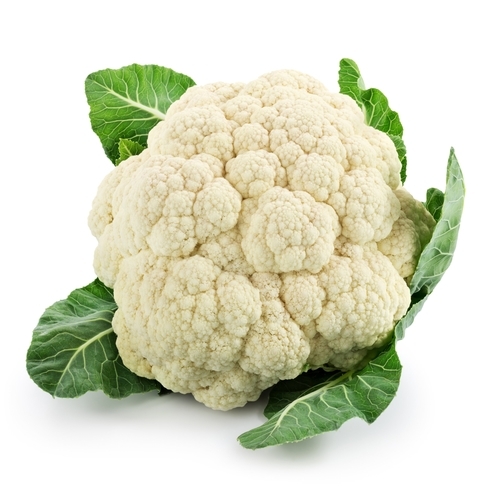 Although being white in color, cauliflower contains the same nutrient richness as its fellow green cruciferous vegetables like broccoli or kale. It is one of the most versatile vegetables, therefore adding more of it to your diet on a regular basis should give you amazing health benefits. One serving of cauliflower contains 77 percent of the recommended daily value of vitamin C. It’s also a good source of vitamin K, protein, thiamin, riboflavin, niacin, magnesium, phosphorus, fiber, vitamin B6, folate, pantothenic acid, potassium, and manganese. It is naturally high in both fiber and B-vitamins. The antioxidant power of cauliflower helps in strengthening the immune system and also helps in reducing risk of stroke, cancer and neurodegenerative diseases. It contains sulforaphane, a sulfur compound that has also been shown to kill cancer stem cells, thereby slowing tumor growth. Cauliflower is high in both fiber and water content, that helps to prevent constipation, maintain a healthy digestive tract and lower the risk of colon cancer. Cruciferous vegetables are beneficial for digestion and detoxification because of their rich supply of sulfur containing compounds called glucosinolates, which support proper nutrient absorption and toxin and waste removal. As it is rich in antioxidants and immune-strengthening nutrients, it helps in preventing various kinds of infections and strengthens the defense mechanisms of the body by hampering the growth of disease-causing inflammation. Cauliflower contains vitamin K, which possesses anti-inflammatory qualities. Regular consumption of cauliflower ensures healthy blood circulation and helps in maintaining the blood vessels, which can be attributed to the presence of glucoraphanin. Cauliflower contains vitamin C, which plays an important role in the production of collagen, which protects the joints and bones from inflammatory damage. Also, it contains vitamin K, which may help in preventing bone loss in both men and women. Choline is a very important and versatile “vitamin-like factor” in cauliflower that helps with sleep, muscle movement, learning and memory. Cauliflower is extremely low in calories (only 30 calories per cup), has virtually zero grams of fat, very low levels of carbs and sugar, and yet is high in volume and filling fiber. This makes it an excellent choice for those looking to lose weight and it also helps to reduce constipation.